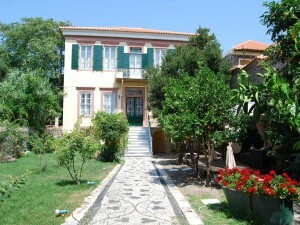 The mansion is situated in the heart of Molyvos, on a little market square with shops and restaurants. It follows a 19th century architecture, which subtly blends in with all the required modern amenities for a comfortable and unique stay. The mansion has 4 bedrooms, salon, kitchen, 2 comfortable bathrooms and a private garden and it offers accommodation for up to eight people. 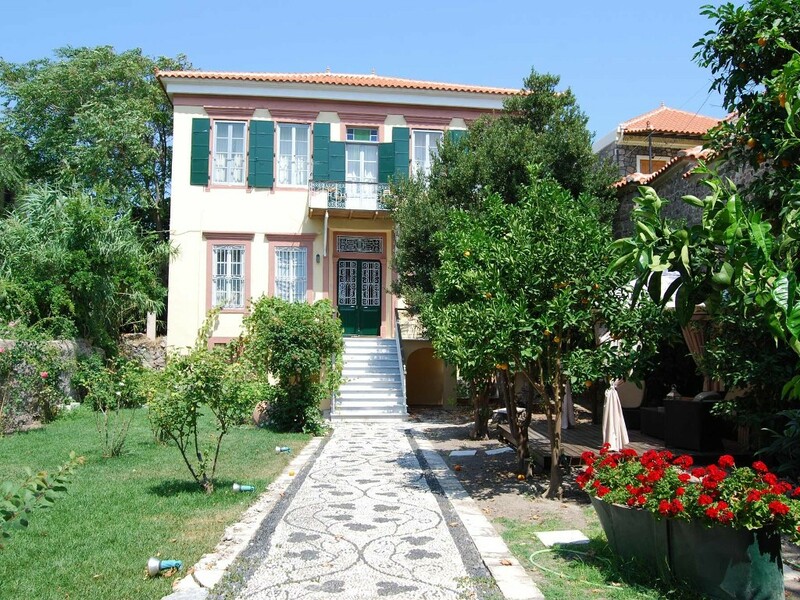 The mansion has a very distinct character due to its unique sculptured ceilings, its impressive large wooden inner staircase and the articulately hand crafted pebbled garden path that leads to the marble entrance stairway. 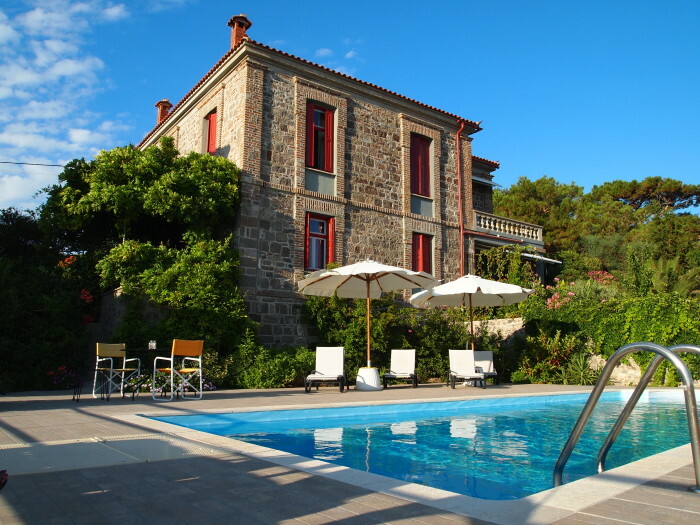 The large windows offer a view towards the Aegean sea, while its small balcony offers a scenic view of the medieval castle of Molivos.